The users of Sprint powered Samsung Galaxy S3 SPH L710 smartphone can now update their device with the Jellybean 4.1.1 powered firmware. One of the best part of this update is that you can get back to your current firmware version for that you need to note down the current firmware version from the path “Settings > About Phone”. Recently, there was an update patch for the script error which has a capability of wiping out all the touch wiz based services, this update will be very helpful for you to solve all the issues related to touch wiz part. Apart from that it also fix the issues related to low Battery life on the modem and issues related to Wi-Fi has been sorted out. 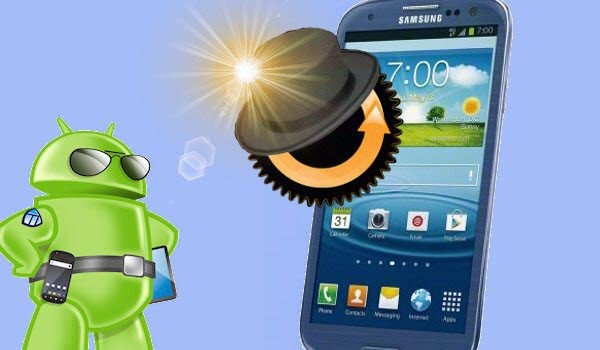 For applying this update in Samsung Galaxy S3 SPH L710 smartphone, you need to root the device. To check on whether your phone is rooted or not just download the “Root Checker” app from Google Play Store and check your device if it is not rooted then do that immediately. Before start to apply this firmware update in your device we strongly recommends you to take backup of all your precious data (i.e SMS, MMS, Call logs, APNs etc) present in your phone. Just in case; if your data might corrupted or erased due to any reasons you can easily recover them with the help of backup. IMPORTANT : Don’t try to backup the data with the help of KIES tool; because it does not support the device. Enable USB Debugging mode by selecting the appropriate option in your Samsung Galaxy S3 SPH L710 device by following the path – “Settings > Applications > Development > USB debugging”. So, once you have done all the above mentioned instructions, you can now head over to the next step where we have summed up a detailed guide on how to apply this firmware update in your Samsung Galaxy S3 SPH L710 device. To get started, download the firmware package from here to your computer. Once you have downloaded the package in your computer, place the same in the external micro SD card of your Galaxy S3 smartphone. Now, disconnect the device from the computer and turn OFF your computer so that you can then enter your phone in the recovery mode. To enter into recovery mode you need to press the volume up rocker key+ power button at the same time while the device is turned OFF. Suppose, your device gets starts in the normal mode, then retry the process and allow your device to enter into download mode. After entering into the recovery mode, Select “install zip from SD card” > “Choose zip from internal SD card” and then choose the Jellybean firmware package which you have placed in your phone. Once it is selected it will take few more minutes for applying the update. Please be informed that after applying the update the first reboot will take longer time than the expected time. To check on whether the firmware update is successfully applied in your device or not, then navigate to the path “Settings>About Phone” where in you can check the same on the firmware has been updated or not where you will get the firmware version as Jellybean 4.1.1 update. So there you go, you will successfully updated your Sprint Galaxy S3 SPH L710 android smartphone with Jellybean 4.1.1 Firmware. Share your thoughts in the comments section.